Current London planning doctrine seems to view high streets with light industrial space situated alongside an abundance of diverse, locally-grown, non-national-brand businesses as ‘market failures’. Both academic research and feedback from Peckham’s business owners and customers indicate that it is exactly this kind of ad hoc, self-seeded entrepreneurial town centre mix that provides opportunities for a local economy to thrive. Locally owned businesses employ mostly locals, target specific local needs and provide a source of great mutual support and benefit to other local businesses as well as the wider community. They are the connective tissue vital for the healthy functioning of a city and its residents. 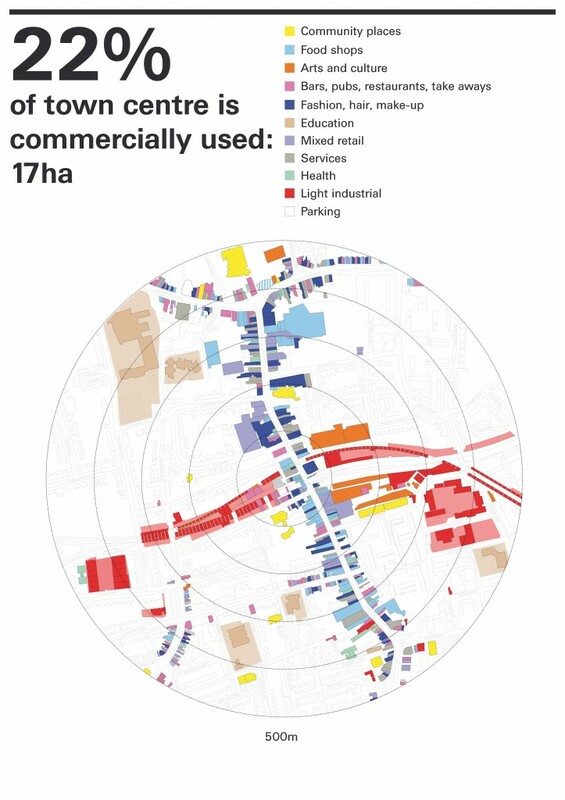 * This study was prepared by the Peckham weeklies in 2015 and presented in June at the event “spaces at risk” organised as part of the London Festival of Architecture 2015.